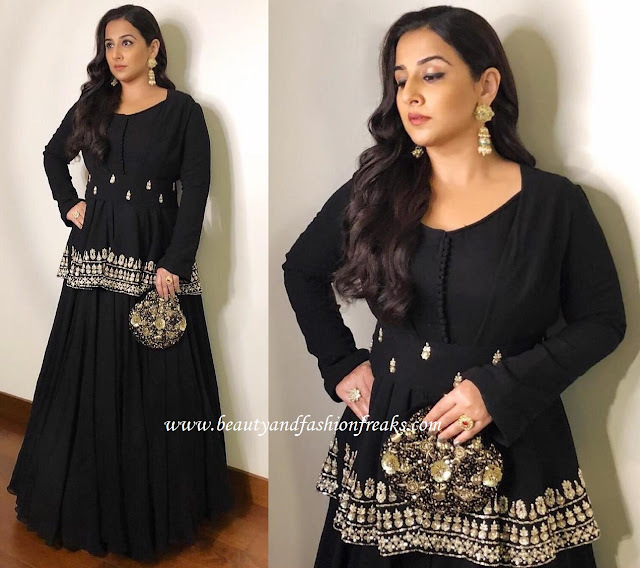 Vidya opted for a black Bhumika Sharma lehenga for attending the recently held Raag Shayari event. A clutch by Pink Potli and Tyaani jewellery rounded out the look for her. Can’t say it was a good outfit to opt for as the top made her look stuffy. Ms. Balan can do better than this!